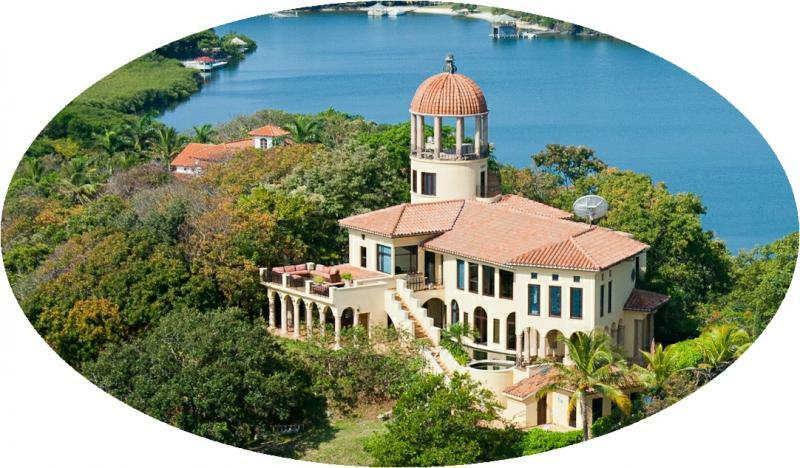 Villa La Sirena is a luxurious multi-level home with approximately 10,000 Sq. Ft. of total construction. It’s located on over one third of an acre lot on the highest elevation in Parrot Tree Plantation. Construction was completed in 2007. The home was designed by Award Winning Architects House & House with 360°views of the Caribbean Sea and the island of Roatan. This home has 5 bedrooms with 5.5 baths, and the master Bedroom has two very large walk-in closets.